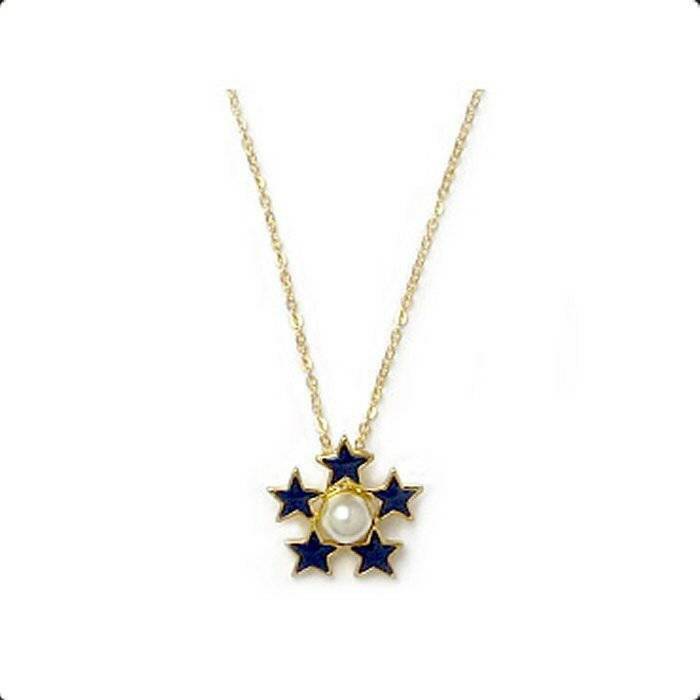 A pendant of 5 blue enameled stars encircle a fresh water pearl. The chain has a gold finish and is approx. 18 in length. We ship via USPS Priority Mail for safe delivery in 2-3 days, plus you can track your package on-line. The Statue of Freedom by sculptor Thomas Crawford is the crowning feature of the dome of the United States Capitol. This classical female figure holds a laurel wreath of victory and the shield of the United States. Her helmet is encircled by stars and a brooch inscribed “U.S.” secures her fringed robes. She stands on a cast-iron globe encircled with the motto E Pluribus Unum (“Out of many, one”).